What is EAS? Why does it occur? EAS is electron aromatics sequestering. It occurs because regular addition would destroy the aromaticity of a ring. EAS is electrophilic aromatic substitution. It occurs because addition to pi bonds will always substitute, preserving the pi bond. EAS is electrophilic aromatic substitution. It occurs because regular addition would destroy the aromaticity of a ring. True or false: An arenium ion is not stabilized by any conjugation. Halogenation of benzene cannot occur with only the instantaneous dipole of the helogen gas- it requires a catalyst. Which of the following reagents-catalyst combination would be typically used in halogenation of benzene? Which of the following compounds can act as a deine in a Diels Alder reaction? Which of the following statements concerning Diels Alder reactions is true? [2+2] and [4+2] additions are photolytically allowed. 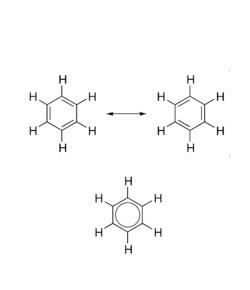 A cisoid [4+2] reaction is not thermally allowed. A [4+2] reaction is thermally allowed, so long as a cisoid conformation is possible. A [2+2] reaction is not thermally allowed due to orbital symmetry issues. A [2+2] reaction is photolytically allowed because the orbital symmetry allows a bond to form before an electron is promoted.